South Orange County Calif. Genealogical Soc. SOCCGS was founded in 1994 in Mission Viejo, Orange, California with the purpose to preserve and disseminate knowledge about, and to stimulate interest and provide instruction in genealogical research. The Mission Viejo Library opened October 25, 1997 and generously provided a space for our genealogical collection of books and CDs. 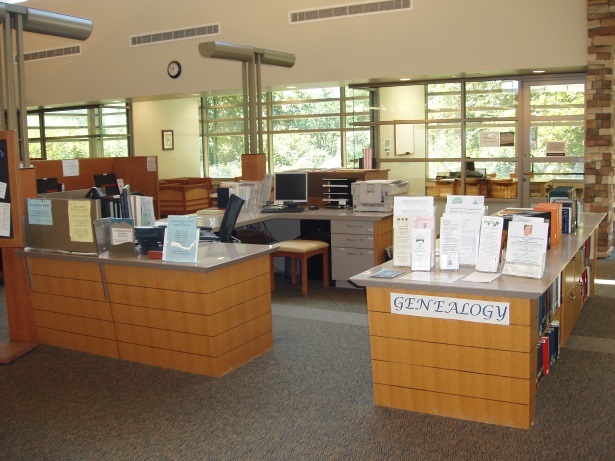 In May of 2002 the new south wing was opened and the genealogy section was moved into the new area. The library is located at the corner of La Paz and Marguerite Pkwy. To reach the library from the 5 Fwy take La Paz east for approximately 1 mile to Marguerite Pkwy. Monthly meetings are held the third Saturday of each month from 10am to noon at the LDS Church Building at 27978 Marguerite Parkway (Between Medical Center Drive and Hillcrest). In October we meet in the Saddleback room at the Mission Viejo City Hall for an all day Seminar featuring renowned genealogy speakers.